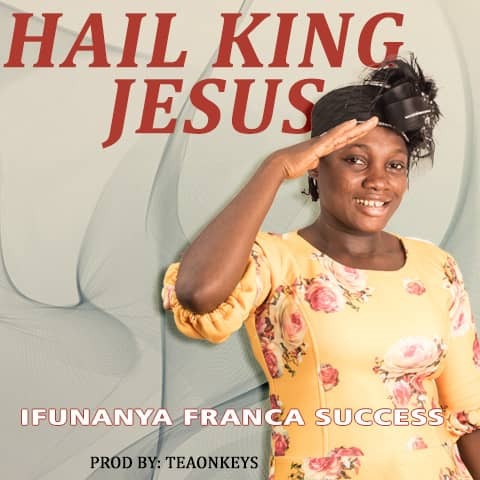 “Evangelist Ifunanya Success” aka Ifypraise, was born in Jos, raised in Jos. She hails from Delta State. She gave her life to Christ in the year 1999, married to Pastor Success, blessed with 3 children. She’s a mother, wife, entrepreneur, and a Music minister. She’s a Music Minister in the Mountain of Fire and Miracles Ministries. HAIL KING JESUS, is one out of other songs written and composed by Ifunanya Success, aka Ifypraise. With all I’ve gone through in life, that gave me every reason without any doubt to Hail King Jesus all the days of my Life. We ascribe all the praises to you. You are great you do marvelous things. See as i dey fresh you feed me Ah!